Carrie Sanders was struck by “the Laurier way” when she came to Wilfrid Laurier University as an assistant professor in the Department of Criminology in 2008. Unsurprisingly, Sanders’ 10 years of teaching and research have produced inspiring initiatives that enhance her students’ lives, her department, her campus, and the community. "I don’t think that anyone was prepared for the success we achieved. The community atmosphere, student leadership, and location were so well-received that we were nominated to host the conference for a second year in a row." During her first two years at Laurier’s Brantford campus, Sanders set out to advance the reputation of the relatively new Criminology department and contribute to the city’s budding research culture. In that time, she became the faculty representative for the Criminology Student Association, took her students out of the classroom and into the workforce to interact with professionals in the criminal justice system, and hosted the Qualitative Analysis Conference, which was the first international conference held at the Brantford campus. It was Sanders’ vision and guidance that propelled a movement of undergraduate students to host their own research conference at Laurier’s Brantford campus the following year, which has now become an annual event. Today, Criminology graduate students also organize their own annual research conference. “The part of me that sought to establish and foster a research culture saw it come to life through these amazing student leaders,” says Sanders. Bringing an international criminology community to the university was a significant accomplishment, but Sanders also had her sights set on creating local community connections. In her classrooms, these connections flourish. Together with Lauren Eisler, acting dean of the Faculty of Human and Social Sciences, she brought a fourth-year seminar course, Public Criminology, to Laurier. The course combines students with members of the public to hear open lectures by internationally renowned criminal justice speakers. At the end of the lectures, students have dedicated access to the experts, with the opportunity to ask focused questions and participate in directed conversations. Another required graduate-level qualitative research course, Qualitative Fieldwork into the Study of Deviance, offers equal opportunities to integrate with the community. In 2015, students designed a qualitative research project that required them to develop and conduct interviews with speakers from the Public Criminology lectures, members of the Tri-Council research granting bodies, and university administrators, in order to understand how public criminology was occurring across Canada. This research is being published in the Canadian Journal of Higher Education in fall 2018. "I have never felt a sense of entitlement from my students. They are community-oriented with a true sense of engagement." Students in Sanders’ courses gain experience coding interviews, theorizing, and analyzing self-collected data – and in some cases, successful journal submissions. “As my thesis advisor, Carrie provided me with research opportunities that furthered my academic aspirations,” says Taylor Knipe, current PhD candidate who graduated with her master’s degree in Criminology in 2017. In 2016, when a group of first-year graduate students approached Sanders with a desire to get involved in community research, Sanders redesigned Qualitative Fieldwork into the Study of Deviance to be a community-engaged research project with the City of Brantford for a project focused on engaging local youth. Students worked to produce a report identifying the barriers youth face when engaging with the city, then presented their findings to members of City Council, various social service agencies across Brantford and the Kitchener-Waterloo area, as well as the Brantford Chief of police. Their findings have been used as a resource in local and provincial policy development. Sanders isn’t phased by traversing the traditional academic term in the pursuit of student success. 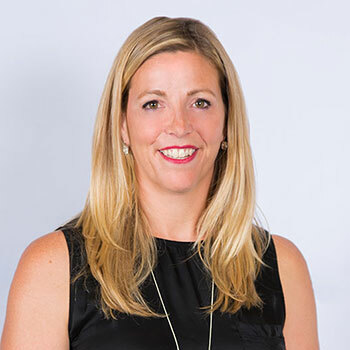 When Sanders is on the recruitment circuit in her role as undergraduate officer and graduate coordinator, she eagerly touts the quality of learning – but more importantly, the mentorship – Criminology students receive at Laurier. "I learned that mentorship is providing support for students during an isolating time in their lives." In her time at Laurier, Sanders has actively mentored 12 graduate and four undergraduate students. She currently has eight student theses in progress. “By example, I learned that mentorship is providing support for students during an isolating time in their lives,” says Sanders. Sanders believes that with the right assistance, including emotional support and open understanding, all students can find personal success. “Without Carrie’s mentorship, I would not be on the career trajectory that I am today,” says Crystal Weston (MA ’15). Sanders sits on the PhD dissertation committees for both Weston and Knipe, and Weston continues to work with Sanders as a research assistant.